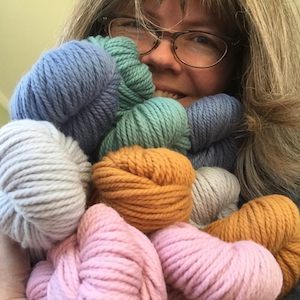 Author of five books, including The Knitter’s Book of Yarn and the New York Times–bestselling Knitlandia, Clara has dedicated her life to figuring out what makes yarn tick. In 2000, she launched Knitter’s Review, the first comprehensive online knitting magazine and community. Since then, through her writings, workshops, books, television and radio appearances, and yarn adventures, Parkes has championed the notion of paying closer attention to what you knit and where it comes from. She swatches from her farmhouse on the coast of Maine.